From Moroccan pillows to geometric pillows, ModShop has a wide variety of colorful pillows on display for you to accessorize your space! Modern throw pillows are no longer an average add on to your sofa. These fun, vibrant designs are the most affordable way to add a pop of color to your space. ModShop Owners, John & Taryn Bernard, have traveled the globe in search of inspiration for every collection. From Thailand to Italy, inspiration can be found in all corners of the globe. 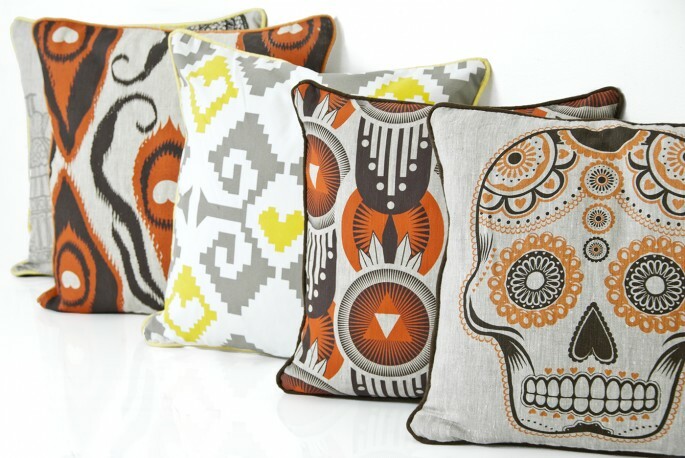 Not only are ModShop throw pillows on trend, but they are fashion forward and have a unique style that will cater to each individuals design sense. For those seeking a more sophisticated style, ModShop offers a large selection of neutral colored pillows that can still add some instant style to those with a more neutral palette. 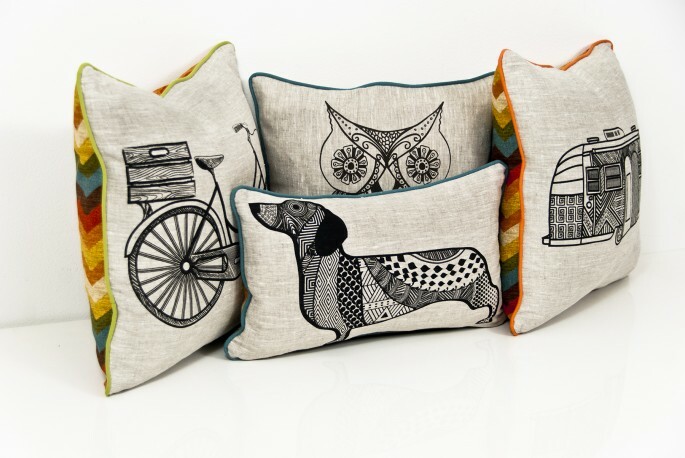 These include designs printed on organic natural linen, and some that feature gold foiled printing….. so chic! At ModShop, our modern throw pillows are a hot item – and with good reason too! Unlike most other sedate pillows, ours add a shot of personality to any room. In bright and happy prints, these pillows bring a sense of whimsy. Throw them onto any sofa or bed for instant style. And as we can attest, the more the merrier – layer prints and patterns to make a bold decorative statement. They come in collections of colors that are designed to compliment one another, so go crazy and have fun with it. If you’re feeling a bit diverse, you can customize your space for every season. Spruce up your office chair with a throw pillow in pastels for Springtime or simply get that Halloween look with one of our many fall colored throw pillows that will make your sofa look like it’s own festive holiday display. The ultimate accessory for your home comes with fun and exciting prints that will help bring you creative design inspiration.